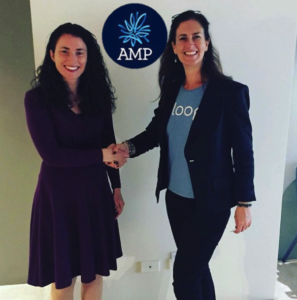 Kath Hamilton, Founder of Loop+, was honoured to be named as AMP Amplify’s best technology founded by a woman. Loop+ is an activity tracker for wheelchair users, creating a positive feedback loop between carers and clinicians, and helping to monitor the risk and care of injury. It’s fantastic to see Kath’s phenomenal work being accoladed on a public platform! 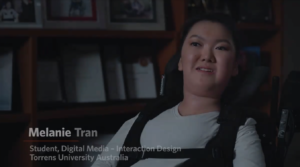 Melanie Tran, UX Designer for AbilityMade and Hireup, as well as crusader for inclusivity, has been announced as the winner of Laureate’s 2018 Here For Good award, in the student category. This is a terrific achievement and is due to Mel’s strength and leadership in making a change in the lives of people living with disability. Congratulations Mel! AbilityMade has also had recent success with the launch of a new 3D scanning clinic for their 3D printed orthotics. 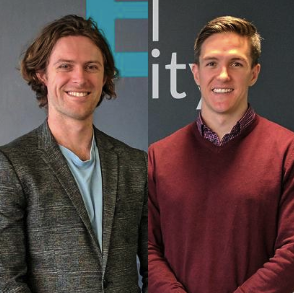 Co-founders of Equal Reality, Brennan Hatton and Rick Martin have been included on Forbes’ 30 Under 30 for Social Entrepreneurs! 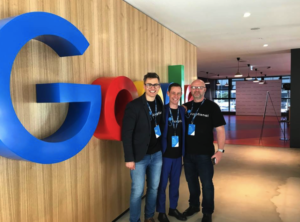 Equal Reality uses virtual reality (VR) to create tailor-made training particularly around unconscious bias. This is a (well-deserved) honor – congratulations Brennan and Rick! Sound Scouts’ fun and accessible hearing test has been recognised by the Department of Health, and as of 2019 will be made freely available to all school-age children! How’s that for scale and impact?! 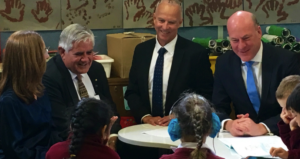 In the Federal Government’s media release, Minister for Indigenous Health Ken Wyatt says “The Sound Scouts program is engaging and fun, but with some serious benefits for our nation’s children.” Congratulations Carolyn and Cuauh, we look forward to seeing the Sound Scout app changing the lives of children all over Australia. There are so many more good news stories, but we’ll save the rest for another time. If you want to stay in touch with all the good news, make sure you subscribe to our socials (Facebook, Twitter and LinkedIn).